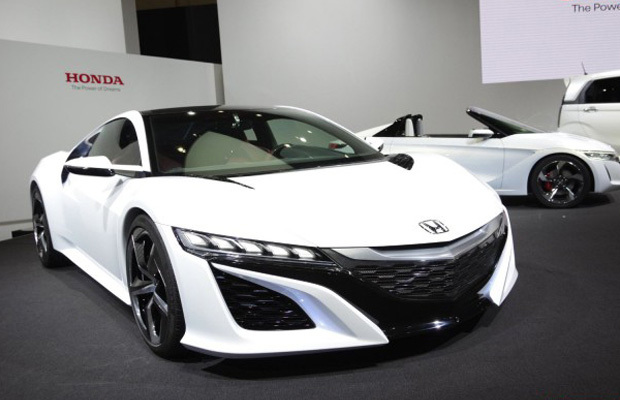 What better time to announce a convertible variant to the 2015 Honda NSX than at the Tokyo Motor Show? At least that’s what we thought when the Japanese automaker confirmed such a vehicle with the announcement of the 2017 Honda NSX roadster. “We are looking at the convertible, but we have a long way to go with it,” says Principal Designer of Honda Jun Goto. He also revealed that the coupe’s design will be identical to the original concept, though it has yet to decide whether the supercar will be a soft or hardtop: “The production car is larger in every direction than the concept but it looks almost exactly the same. At least 95 per cent of the exterior styling will be carried over to the production car.” More to come once Honda unveils performance specs.